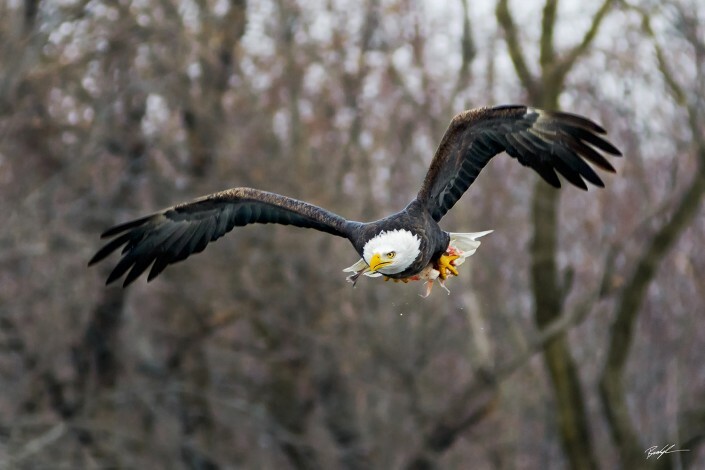 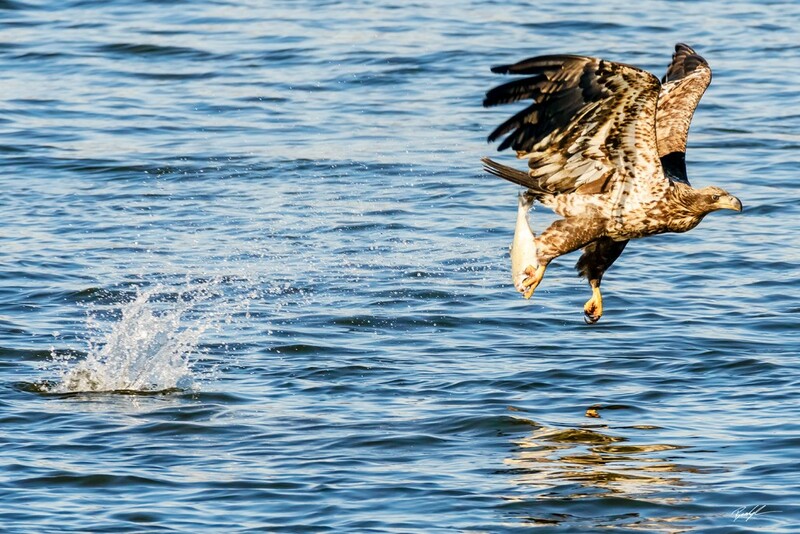 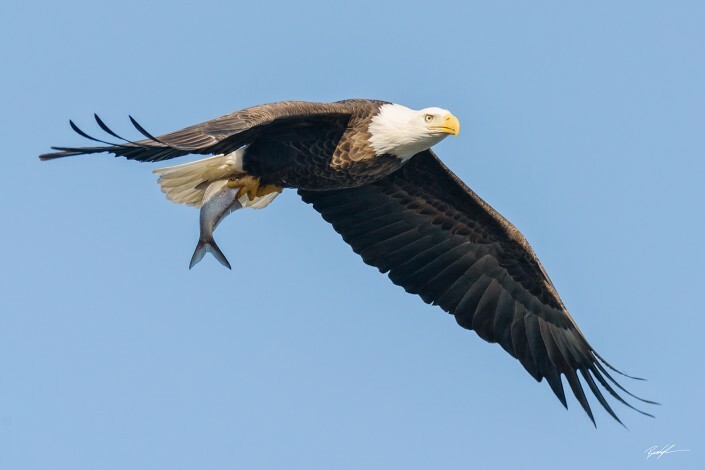 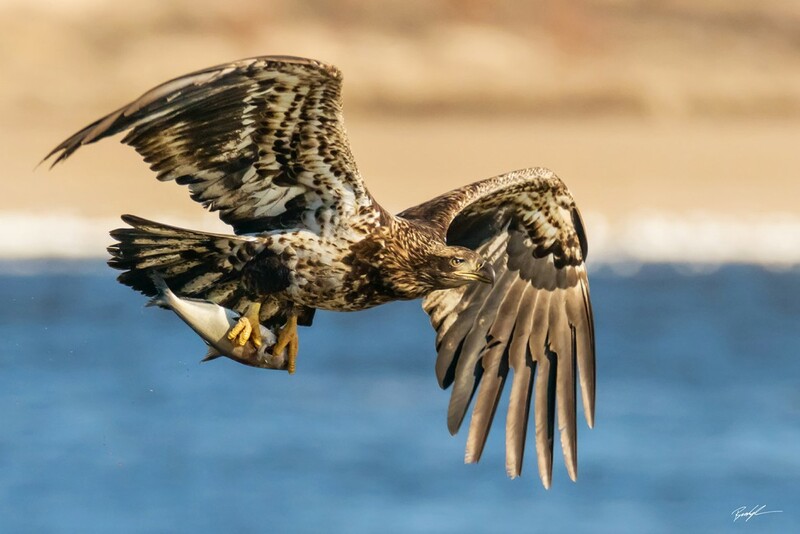 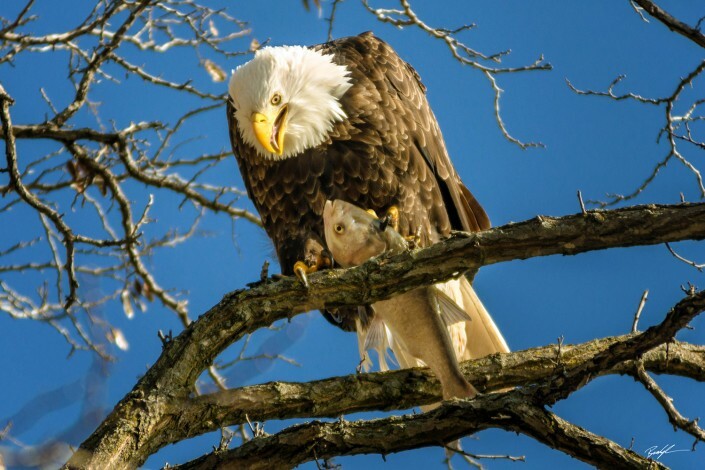 Eagle Photography: Images of the magnificent bald eagle perched in trees, in flight, and fishing. There are few birds that rival the majesty and grace of the bald eagle. Because of where we live, I have the opportunity to photograph bald eagles during the Winter as they migrate southward along the Mississippi River and Illinois River byway in search of open waters in which to fish. 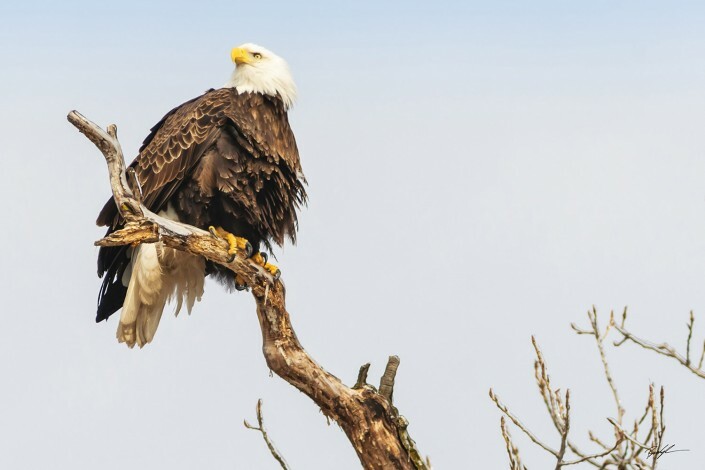 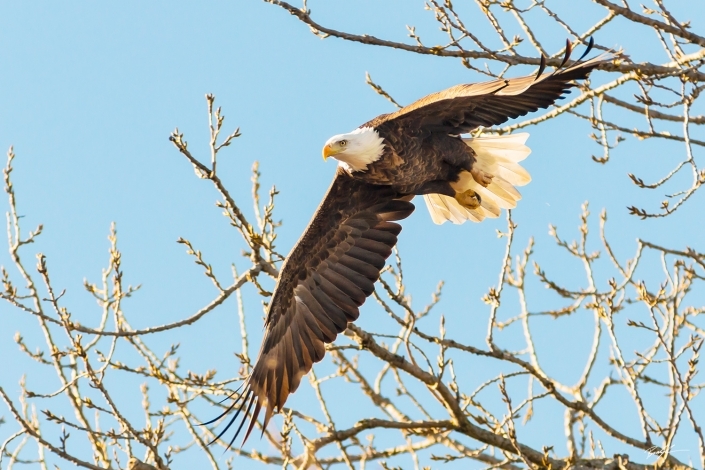 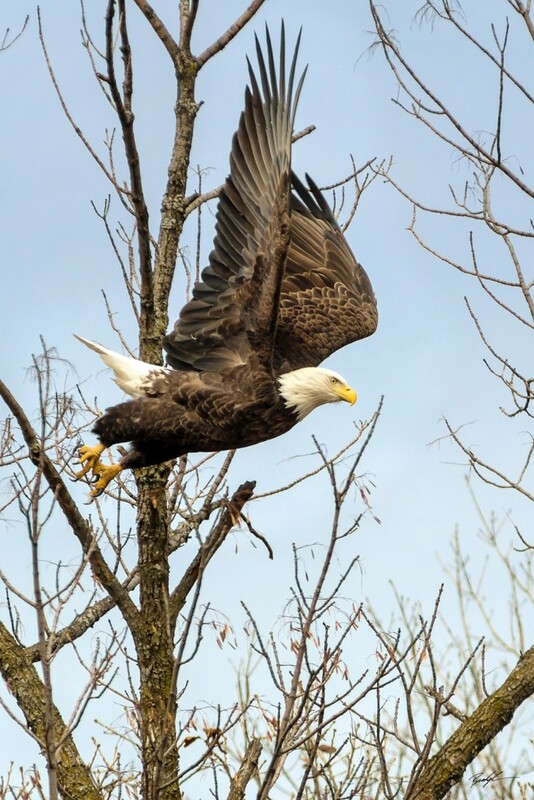 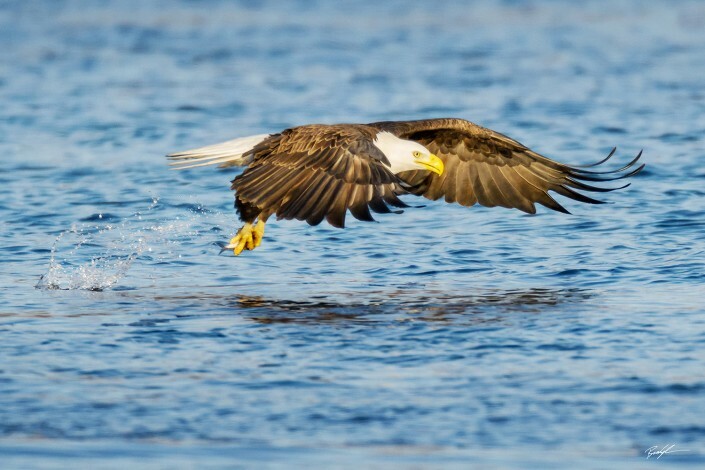 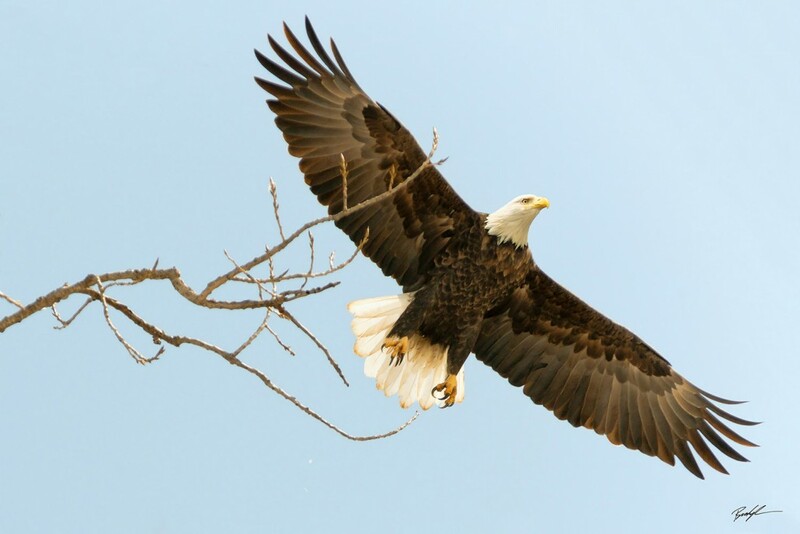 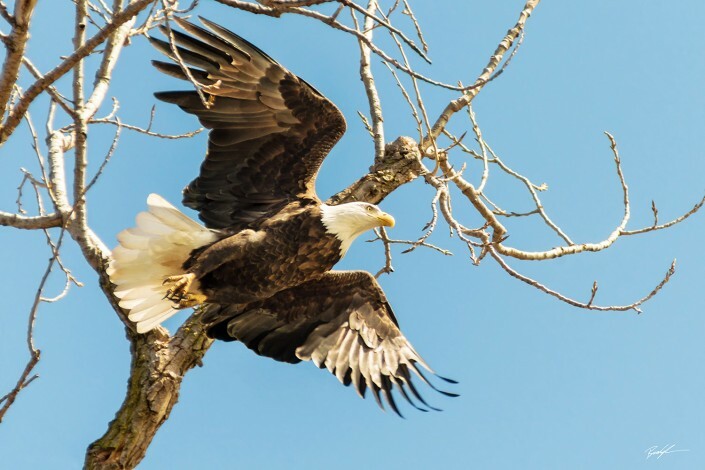 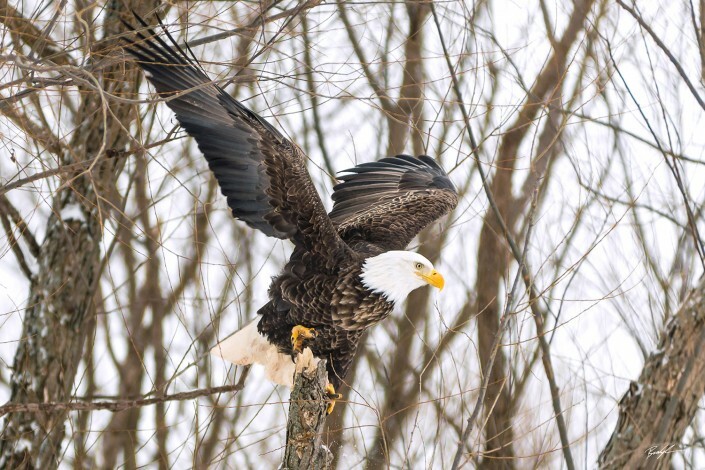 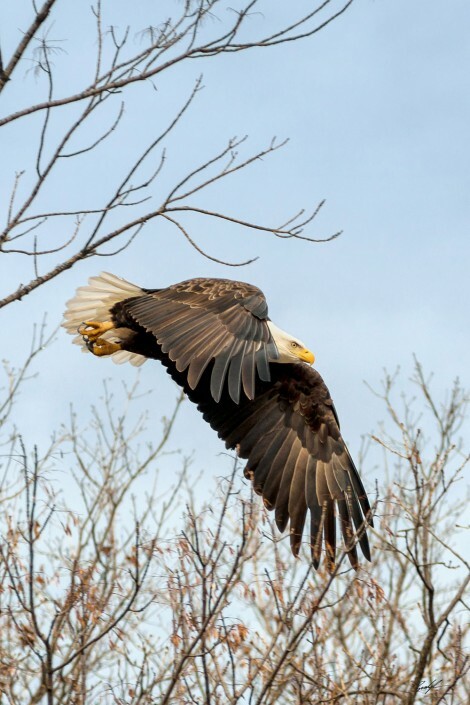 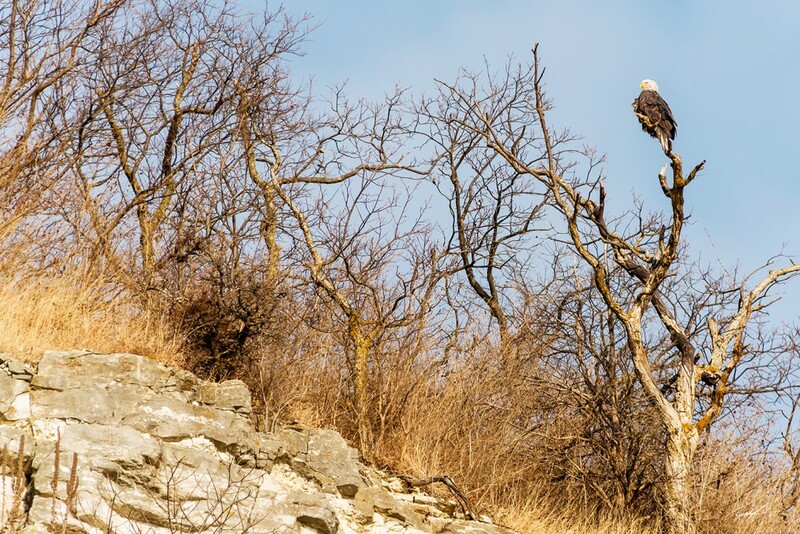 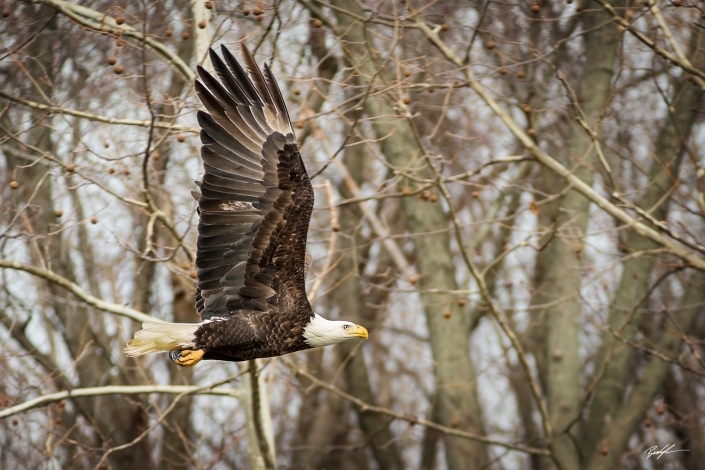 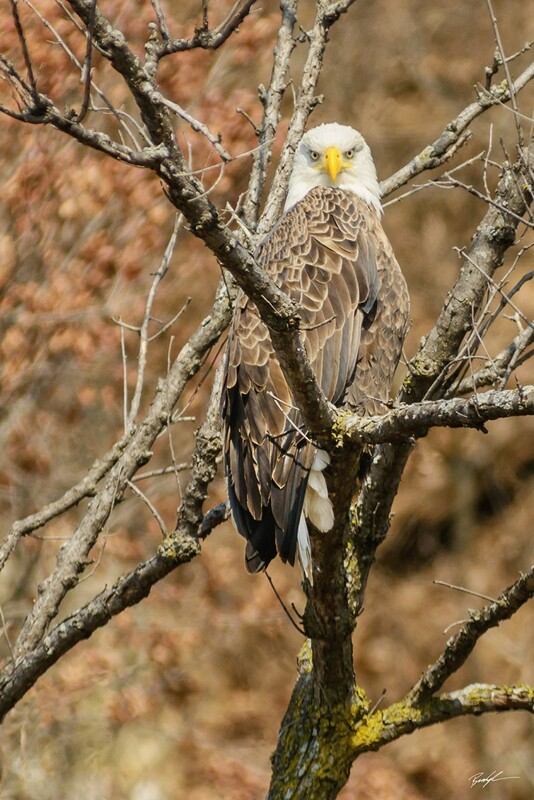 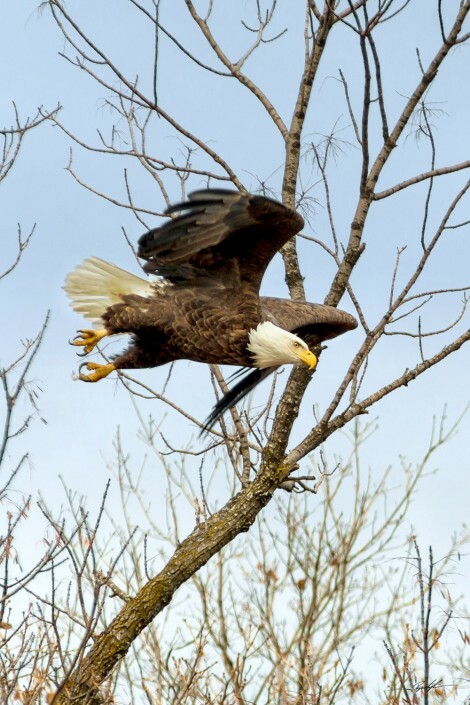 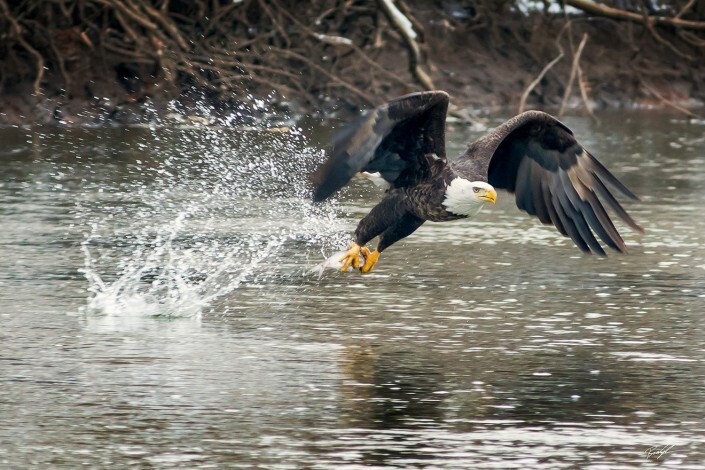 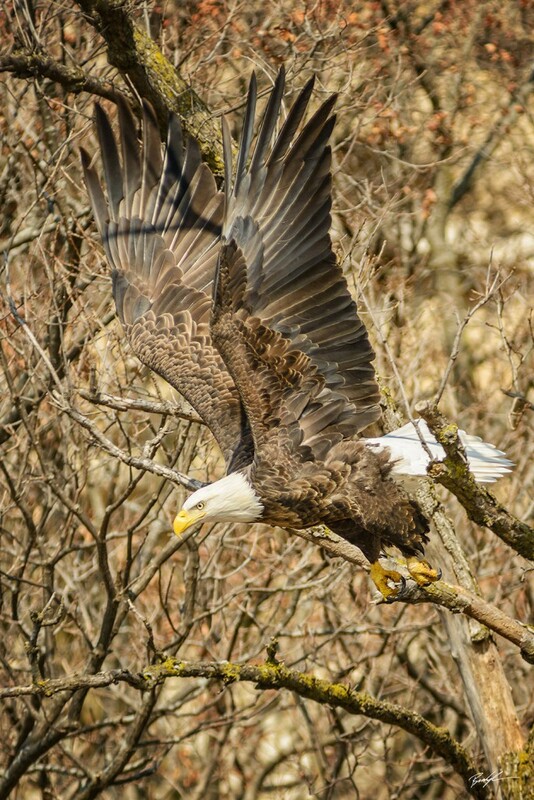 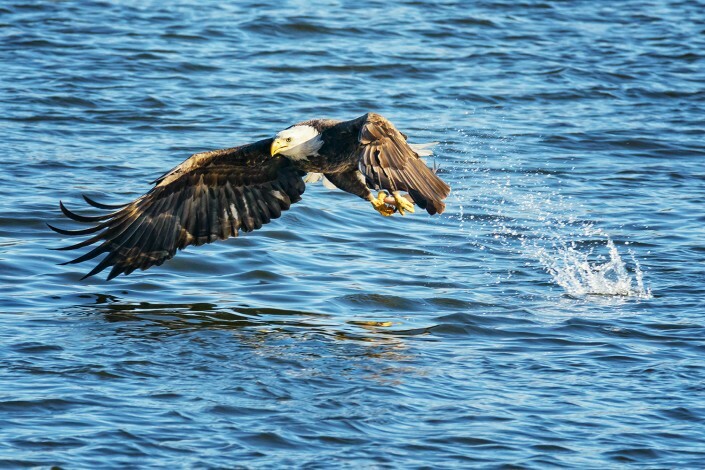 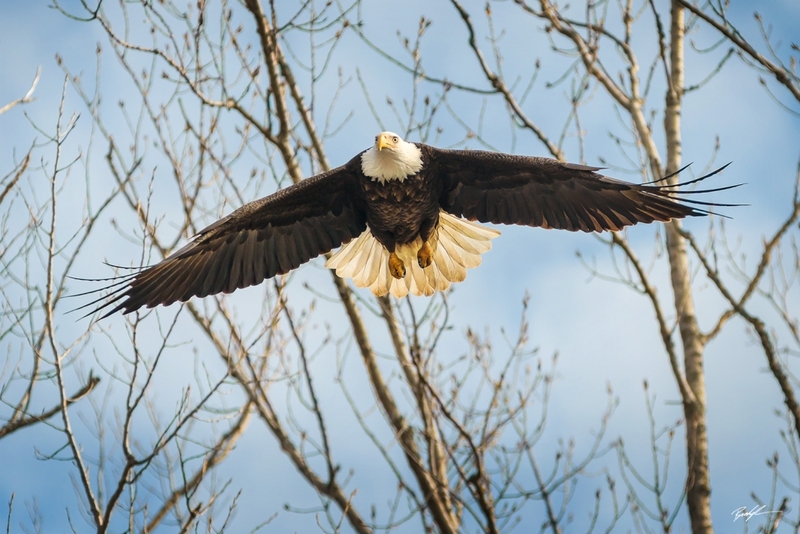 All of the eagle images in this gallery have been captured near the communities of Alton and Grafton, Illinois, some near Carlyle Lake in Carlyle, Illinois, and others captured on bank of the Mississippi River in Clarksville, Missouri. 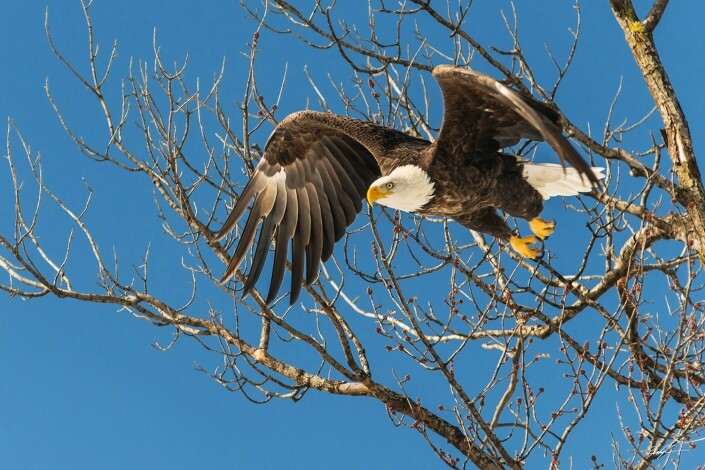 A proper photograph of a bald eagle is very difficult to create as action, personality and sharply focused eyes are the key ingredients – and those are the hardest to capture. 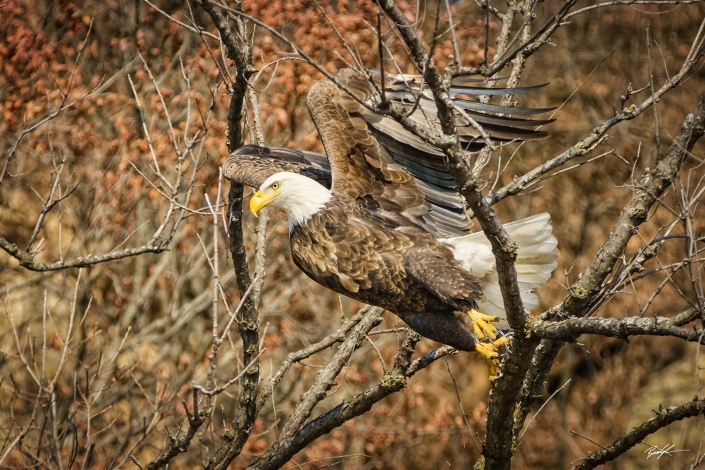 I find bird photography to be extremely challenging and the ‘keepers’ are hard to come by. 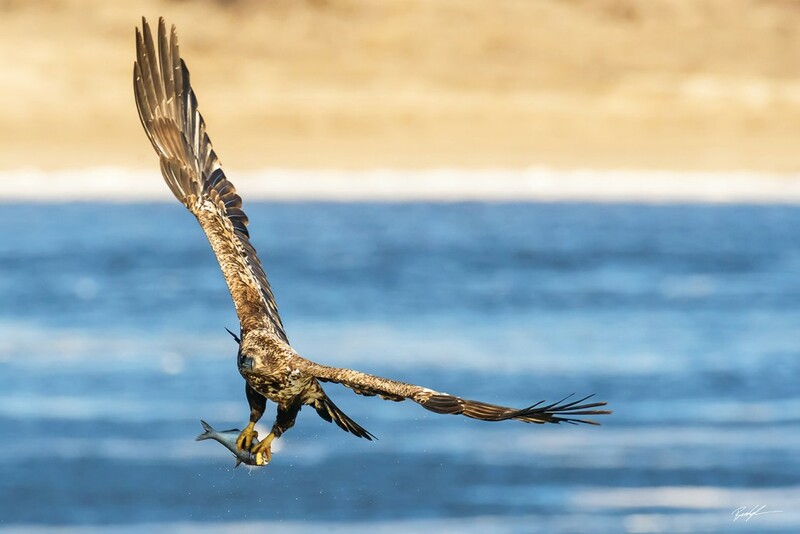 I’m a believer that you can create a compelling photograph with any camera, but in this kind of photography, good equipment is necessary since resolution is important. 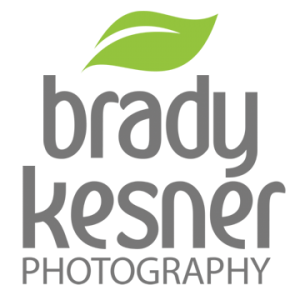 I break out my best telephoto lens to create these images and as a result, all can be enlarged to 24″ x 36″ without any loss of clarity! 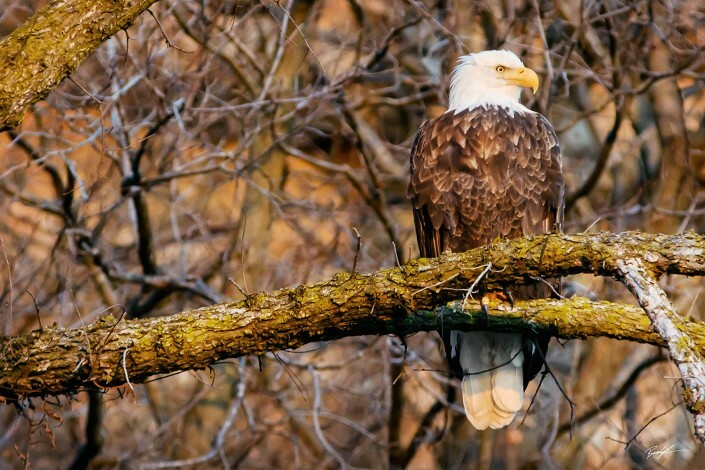 If you love this bird, as I do, you’ll find an image or two here to adorn the walls of your home or office.